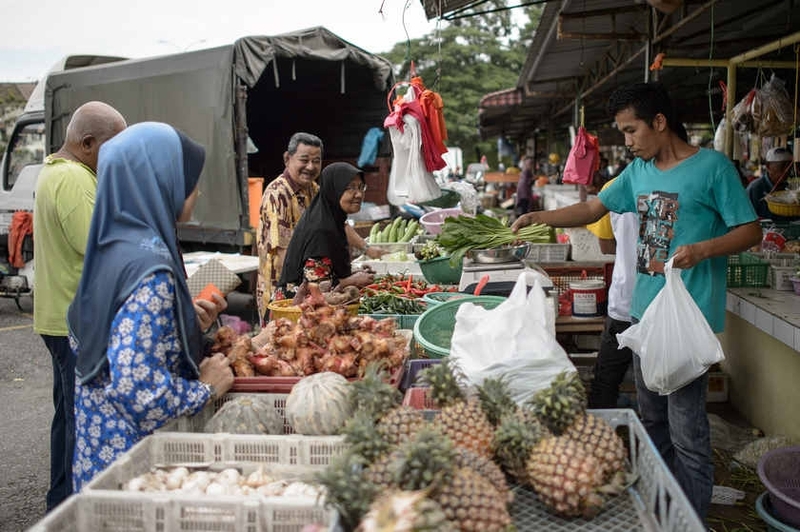 Recently, the Star Online reported that food store operators have defiantly refused to lower the prices of their fare despite the steep drop of fuel and oil prices in the world today and have even dared to raise their prices further. It is disheartening to note that while the rakyat continue to suffer at the hands of these unscrupulous businessmen who are out to make a quick profit at every opportunity, the food stall operators themselves are conveniently passing the buck to transport operators and suppliers instead of coming together to find a solution that would achieve lower prices while ensuring that profit margins are not grossly excessive and are acceptable to all. Amidst all the cacophony of complaints and suggestions, the Federation of Malaysian Consumers Associations (FOMCA) have delivered a memorandum to the Prime Minister on this matter while the Consumers Association of Penang (CAP) have yet to make their stand on this issue. But most notably, to this writer, the most relevant voice in this debate, that of the Bar Council, is still silent and this should not be the case at all. Why, one may ask, is the view of the Bar Council relevant on this matter? Simply put, it is because the Bar Council, being the representative of all lawyers in this country, and the executive body of the Malaysian Bar which is set up to “uphold the cause of justice without regard to its own interests or that of its members, uninfluenced by fear or favour” per paragraph 42(1)(a) of the Legal Profession Act 1976 must do what it is statutorily bound to do, namely, stand for the cause of justice in the face of injustice. And the refusal by traders to lower and even raise the prices of essential goods and services such as foodstuff reeks of injustice. The right of consumers to fair prices for food is well reflected in the various international human rights instruments to which the Bar Council desires Malaysia to be a party to, not least Article 25 of the Universal Declaration of Human Rights (UDHR) which states that “Everyone has the right to a standard of living adequate for the health and well-being of himself and of his family, including food, clothing, housing and medical care and necessary social services…” as well as Article 11 of the International Covenant on Economic, Social and Cultural Rights which mandates that parties to the Covenant “recognize the right of everyone to an adequate standard of living for himself and his family, including adequate food, clothing and housing, and to the continuous improvement of living conditions…”. The rights implicit in these instruments are the right to food and the right to water, which necessarily involves the right of access to food and drink at fair and reasonable prices. Besides the above, there is also an international instrument on consumer rights specifically, the United Nations Guidelines on Consumer Protection adopted by the United Nations General Assembly on 9 April 1985 and expanded on 26 July 1999. Paragraph 19 of Guideline B of this instrument states that there should be “…fair and effective competition to provide consumers with the greatest range of choice among products and services at the lowest cost,” which sets the standard of fair prices for consumers worldwide. Within Malaysia, subsection 36(1) of the Consumer Protection Act 1999 states that there shall be an implied guarantee that a consumer should not be liable to pay more than the reasonable price of any good or service, including fares. It is apparent from the above that consumer rights, both nationally and internationally, occupy an important part of the corpus of commonly accepted laws and regulations on human rights and are as, or even more, important, than other so-called rights the Bar Council is often heard trying to champion, such as unbridled freedom of speech to the extent of desiring the legalization of sedition shown by its recent defence of one notorious individual, Eric Paulsen, for offending the sentiments of Malaysian Muslims by claiming without a shred of proof that JAKIM promotes extremism every Friday. While a repeal of the Sedition Act 1948 serves to benefit no one other than an extremist minority bent on trampling on the basic features of our Federal Constitution, consumer rights are relevant to all – for every Malaysian, regardless of race or religion – is also a consumer. Yet on this critical issue, the Bar Council is deafeningly silent, which leads this writer to wonder whether these group of lawyers, sitting in their posh, high end offices dreaming of the implementation of “secularism”, “liberal democracy” or other nonsensical grandiose ideals that go against the grain of our Constitution possibly and in all probability learnt from their days studying in England, Australia and New Zealand, are really in tune with the needs of the average Malaysian. Is it not true that, rather than fight for such abstract ideals that have no relation whatsoever to men and women who struggle to work daily for their providence, their time would be better spent labouring on the expansion of rights that are acceptable to and benefit everyone such as consumer rights? What is also clear is that the reference in the Legal Profession Act 1976 to “upholding the cause of justice, without fear or favour” does not by any stretch of the imagination refer to the foreign ideals mentioned, but rather local, mundane concerns of the rakyat such as fair and just prices for provisions, among others. By failing to speak up on these issues, it becomes ever more apparent to the run-of-the-mill lawyer or even the common man, as time passes, that the relevance of the Bar Council is increasingly in question, and that reform thereof not only becomes a necessity, but a duty incumbent upon all who seek a better Malaysia for everyone. *Faidhur Rahman Abdul Hadi is a lawyer practising in Hartamas Heights, Kuala Lumpur. January 25, 2015 in Bar Council, Human Rights, International Law.